Since 1998, Kim has been providing top quality massage to Islanders and visitors alike. 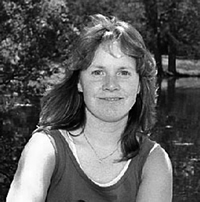 A 1997 graduate of Heartwood Institute’s Advanced Massage Therapist training with over 800 hours, Kim continues to study with the Paul St. John Method of Neuromuscular Therapy (NMT); the Howard Rontal method of Myofascial Release Massage (MFR); CORE Structural Integration, and is also a Level II Reiki practitioner. In 2014, Kim completed Kripalu’s 200-hour Yoga Teacher Training. Kim is a Professional Member of the American Massage Therapy Association and has passed the National Certification Exam for Therapeutic Massage and Bodywork. Kim is also a Registered Yoga Teacher (RYT) and member of the Yoga Alliance. Believing that any healing process begins with allowing the body/ mind/ spirit to return back to its inherent balance, Kim draws on her extensive training and experience, and with confident, intuitive hands helps to facilitate each person’s journey back to health and well-being. Swedish Massage is deeply relaxing and extremely beneficial to the circulatory system. Myofascial and connective tissue work unwinds habitual holding patterns in the body, allowing restored movement and flexibility. NMT works with the nervous system to restore healthy muscle function. Combining these, along with the natural healing energy of Reiki, Kim creates each session to best suit the needs and goals of each client. Offering Therapeutic Massage and Bodywork for Women. Open Year-Round in Vineyard Haven, by appointment only.